The Central Farm provides on-going technical and practical support and training to the satellite farms in the network, which are ideally located within a few hours drive. As the hub of the network, this farm may be operated by local government or a non-governmental organization, or by an existing or new aquaculture business set up for this purpose. 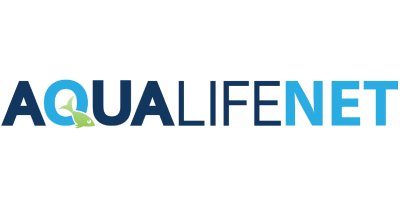 AquaLifeNet works in partnership with companies and NGOs to set up and maintain the central farm, providing initial consultancy services and training resources, as well as setting up the fish farming infrastructure and technology. The central farm staff are trained to deliver a comprehensive range of commercial, technical and operational services that will enable the satellite farmers to develop their fish farms and business capabilities. While the farmer focuses on growing the fish, the central farm supports the business and operational processes. This hub facility provides a supportive role in the fish farming production cycle as a central point for trading and supplies, mitigating the need for farmers to travel further afield to access raw materials and equipment. It may also serve as the regional centre for the purchase and resale of fish crops under a co-operative arrangement; they can buy farmers’ fish at the market price, provide packaging and transportation services, and sell it to local or international companies. Farmers can receive advice on topics such as market integration, financial planning, and the marketing and pricing of their fish crop. The project directors can implement best practice and quality control and help individual farmers to overcome operational challenges. With this support, farmers gain technical knowledge and access to new markets. The central farm can be designed to fit any existing facilities or infrastructure already available in the region, and its service provision structure can be tailored to the requirements of the community aquaculture projects. It may become a regional research and development centre, trialing different fish species, and experimenting with new feed mixes to spur best practice share ideas for improvement with the farming community. Farmers are encouraged to constantly improve production, quality and yield, and empowered to grow their own businesses with expert management and oversight. No reviews were found for Central Resources Services. Be the first to review!